Based on comments from y’all–not to mention which posts get the most traffic on this blog–I’ve made a cool discovery: Although you seem to appreciate posts on theory, what you REALLY like are posts that dig into specific examples. Makes sense to me! I don’t really understand a concept until I try it out six ways from Sunday and make it my own, if you know what I mean :). So I thought I’d try an experiment. 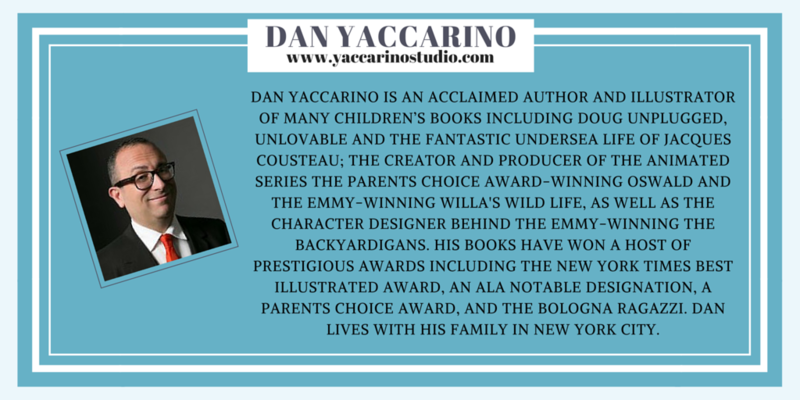 On Mondays, I’ll continue to bring you information and tips about writing, creativity, and novel ways to connect with readers. Thursdays, we’ll dive into specifics–specific examples, specific applications, specific challenges, and so on, that have to do with the week’s topic. Starting with (drumroll, please…) sketchnoting! 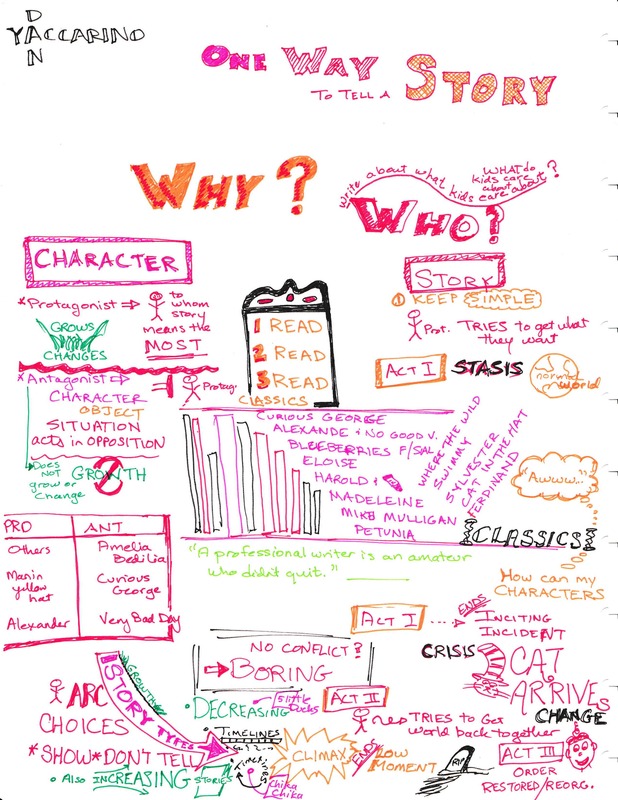 Sketchnoting is a powerful tool for writers & other creatives–I dare you to give it a try! Idea 1: Use sketchnotes to create a “mind map” of conference sessions, lectures, or other presentations. How? 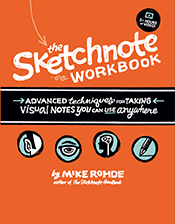 Simply apply basic sketchnoting principles as described by sketchnoting authority Mike Rohde in the Sketchnote Handbook: The Illustrated Guide to Visual Note Taking. Do you ever finish a brainstorming session feeling like you’ve just rehashed the same old ideas on new sheets of paper? Does your freewriting exercise stall before you hit the second paragraph? 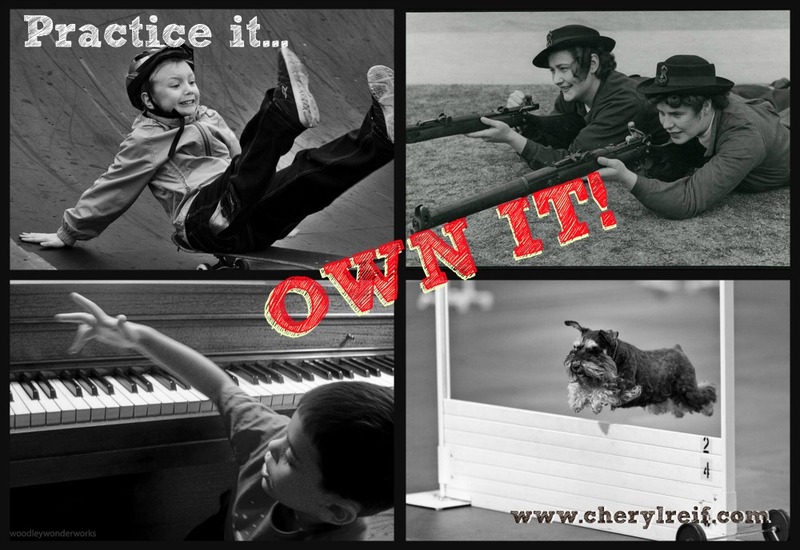 Does your plot refuse to twist, or do your characters insist on behaving predictably? What the Heck Are Sketchnotes? Sketchnotes arose from Mike’s frustration with the standard note-taking process. He was filling notebooks with pages of detailed, text-only notes, and then never referring to them again. Sound familiar? How many of us have notebooks full of notes from conferences and meetings, notebooks that now gather dust on shelves (**raises hand**)? Perhaps worse, how many of us have notebooks filled with valuable story ideas or character descriptions, similarly gathering dust because sorting through them is too daunting a task? Sketchnotes focus on capturing BIG IDEAS and representing them VISUALLY. By using symbols and shapes to capture concepts, sketchnotes can convey information more succinctly than text alone. The way information is organized on the page can help communicate a hierarchy of ideas or logical progression. In other words, when you translate ideas into sketchnotes, you store them in a format that’s easy to review and access later. Sketchnotes let you translate ideas into a format that’s QUICK TO SCAN and EASY TO REVISIT. Cool, right? But that’s not the only benefit of sketchnoting–as you might’ve guessed based on the the title of this post. Sketchnoting isn’t just about creating a beautiful end product–which is why you don’t need to be an artist to start creating your own sketchnotes. Sketchnoting helps you think differently.